How Downtown Phoenix Inc. strengthens, celebrates local culture through arts initiative - Downtown Phoenix Inc. The downtown core is known for its myriad of events and activities like live music, pro sports games and theater performances. It’s also becoming known for its art. This is in large part due to the work of the community development group, Downtown Phoenix Inc., and its affiliate organizations Downtown Phoenix Partnership and Phoenix Community Alliance. Created in 2013, Downtown Phoenix Inc. (DPI) promotes the continued revitalization of downtown through placemaking, events, streetscape improvements and a team of Ambassadors that provide hospitality services to downtown visitors and businesses. From planting trees and supporting the arts to hosting events and telling the stories affecting the city, DPI is committed to making Downtown Phoenix a beautiful, welcoming and diverse place. In 2011, Downtown Phoenix Partnership (DPP), the business improvement district that oversees 90 square blocks in the core of downtown, began an arts initiative to intentionally leverage the power of art and creativity — an instrumental force in downtown’s growth and revitalization — to add to the character and quality of the area. 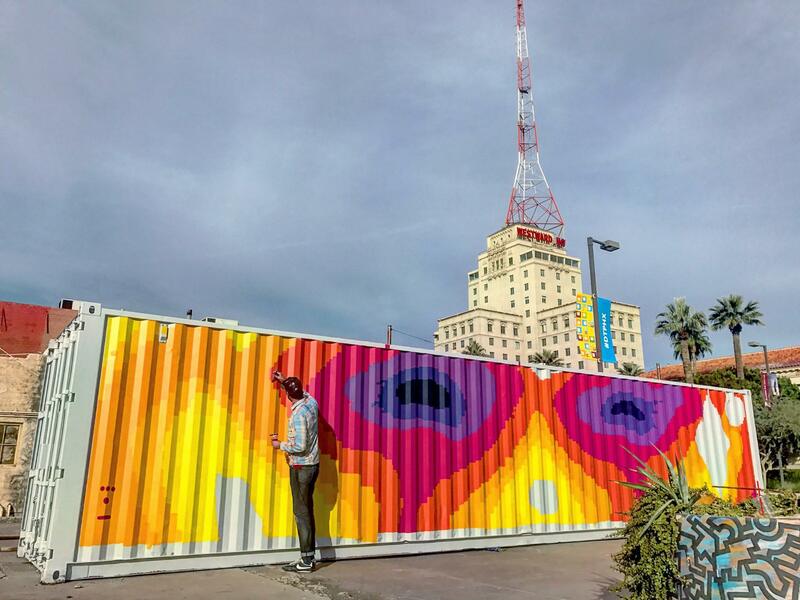 From colorful murals and artist-designed bike racks, to printed resources, art exhibitions and more, Downtown Phoenix Inc. now integrates art into many facets of the what the organization does. 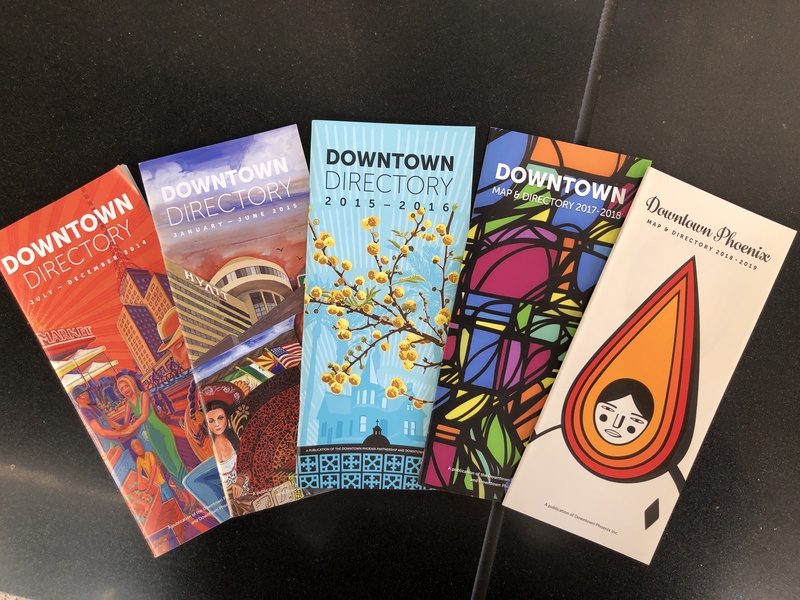 DPP first started integrating local art into visitor resources around eight years ago when artists were chosen to design the covers of printed publications like the Downtown Map & Directory, dining guides and annual report. 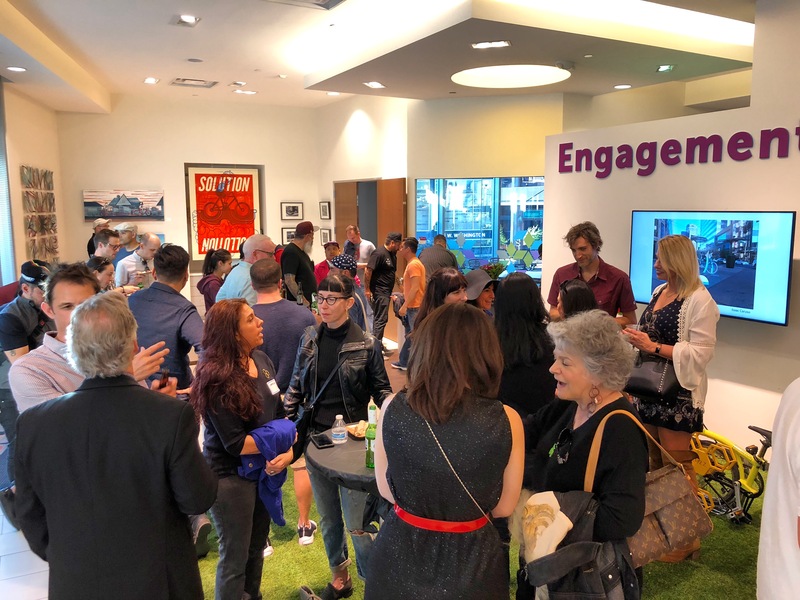 “It opened up a whole new avenue to collaborate with the arts community and add personality to traditional resources,” said R.J. Price, chief marketing officer at Downtown Phoenix Inc. Since then, DPI has grown the arts initiative and extended it to the sidewalks and walls of downtown. They are things you may not notice immediately — a hand-painted Little Free Library, a mural in a stairwell, a hand illustrated map — but all these small pieces weave together to create a more interesting and authentic experience. One of the most recognizable of the public projects is the “Malinda” mural by Hugo Medina and Darrin Armijo-Wardle. 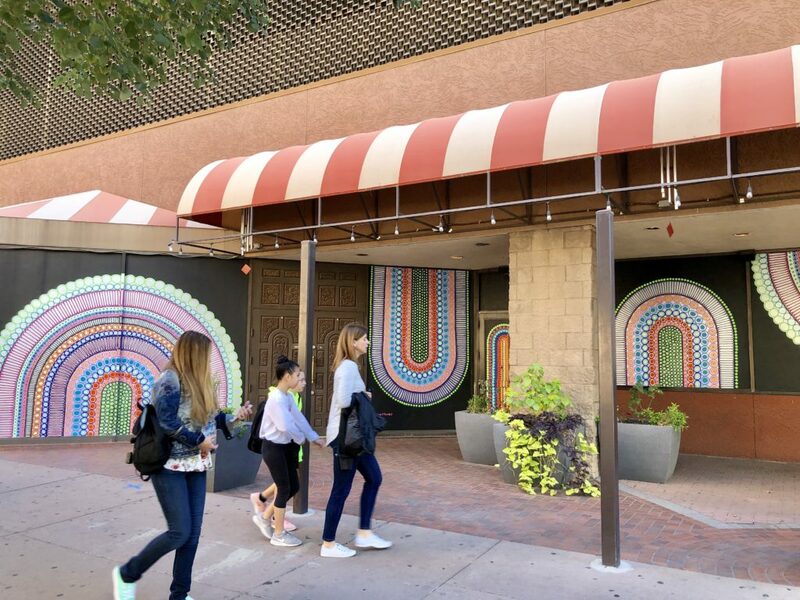 Completed in May 2017 in the Renaissance Phoenix Downtown Hotel alley, the mural measures 70 feet high by 50 feet wide, and adds an unexpected pop of color, and a nod to a character from Phoenix’s past. Every day, you can find residents and visitors taking selfies and posing for photos in front of the mural. DPI has commissioned several other murals, including one by Andrew Brown on the side of a shipping container to create awareness about homeless; Hugo Medina and Michele Hill painted the stairwell of the historic Fry Building/Majerle’s Sports Grill with a historic scene; and local artist Kyllan Maney was commissioned to create multi-part mural on the windows of a vacant storefront near the Phoenix Convention Center. Maney’s mural was complemented with large planters of flowers as well as wind chimes hanging above. What was once an empty space, was transformed into a place that adds character and a sense of imagination to downtown. Art is integrated inside DPI’s office as well, most notably on the cover of the annual downtown directory. Each year since 2011, a local artist has been commissioned to design the cover of the directory. Past artists have included Jake Early, Jose Andres Giron, JB Snyder, and most recently the Fortoul Brothers in 2018. The directories become a piece of collectible art for visitors and residents. 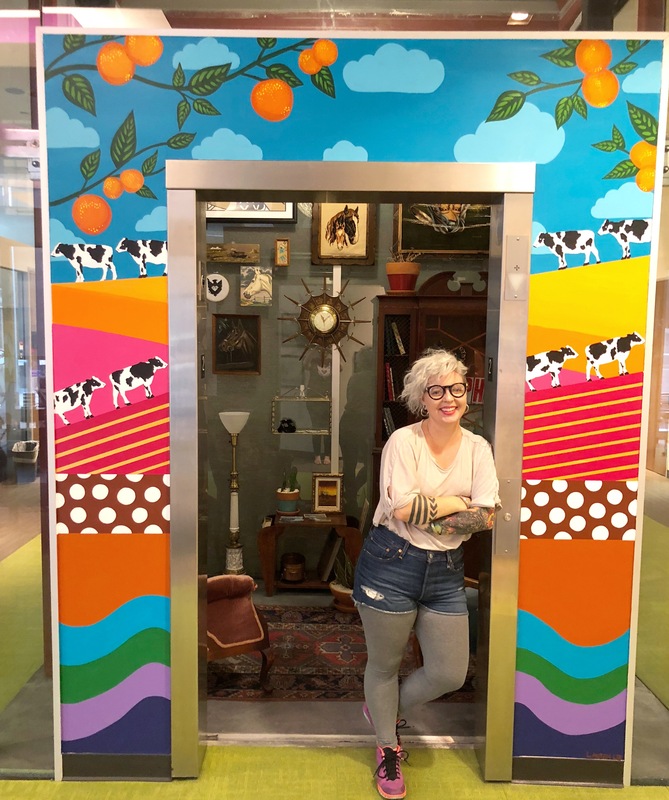 Other art projects in the DPI office include a The Parlor, formerly an elevator shaft, filled with local art and curated vintage pieces centered around the theme of Arizona’s five C’s. Additionally, local artist Lauren Lee was commissioned to create a mural on The Parlor’s exterior using the same theme. In 2018, DPI worked with Artlink Phoenix, and the Office of Arts and Culture to commission artist-designed bike racks that were produced and installed throughout the downtown core. 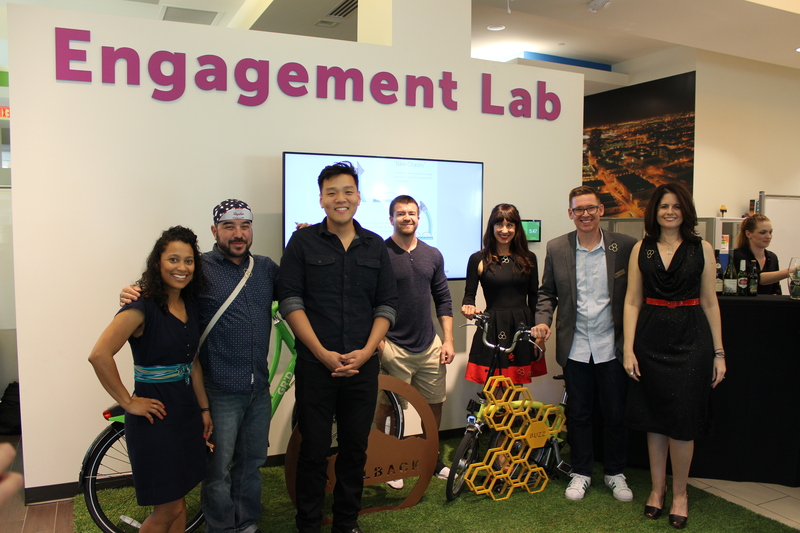 A bike-themed art exhibition was also held in the DPI office to help celebrate the winning designs of the bike rack project. As an organization historically seen as being solely business-centric, DPI’s arts initiative has changed the way some people view the organization. 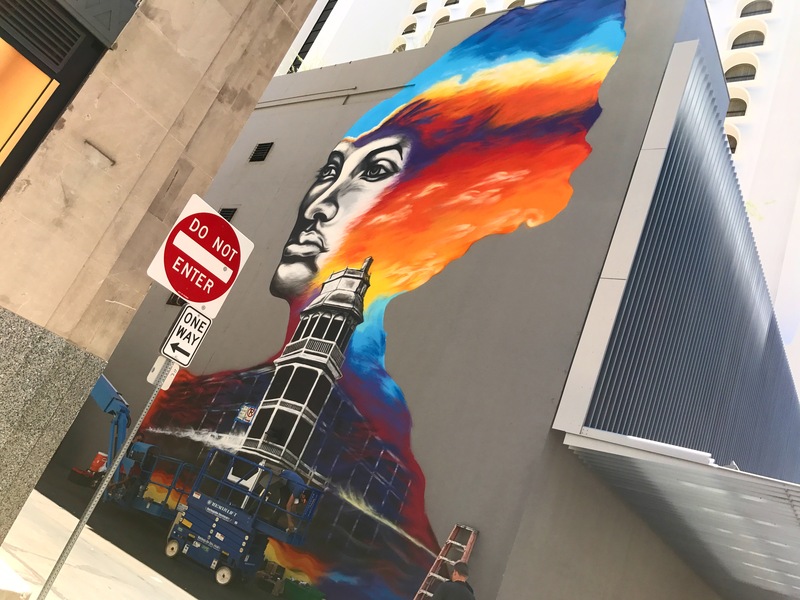 “(The initiative) has effectively broken down some of those perceptions and integrated the organization with a wider spectrum of downtown user including artists and the arts community,” Price said. The idea is to weave creativity and art throughout the urban center. Not only does it help celebrate the artists and culture of the area, it can help create a sense of place and strengthen community fabric. Save the date for the second annual Pedal to the Metal: Bike Art Show on Saturday, March 16 from 5-7 p.m. Held during Artlink Phoenix’s Art Detour 31, the art exhibit celebrates downtown’s growing bicycle culture with a collection of original works by local artists.